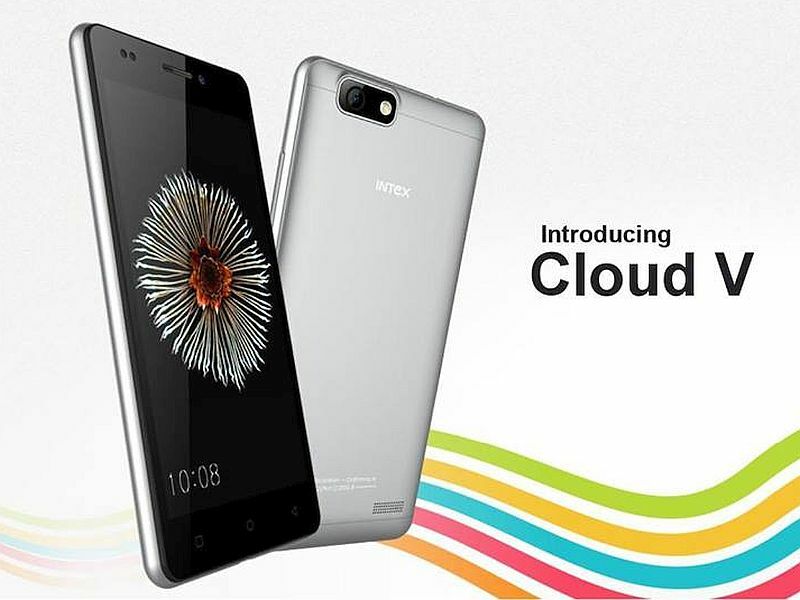 Intex Cloud V with 8MP Camera Cheap Enough? Another budget friendly smartphone from Intex will roar the internet world. This new Intex Cloud V is a dual SIM smartphone that runs Android 4.4.3 Kitkat. Featuring a 5inch FWVA TFT display. The Cloud V is powered by a 1.2GHz quad core Spreadtrum processor paired with a 512MB of RAM. It has a 8GB build in storage that can able to expand up to 32GB via microSD. The big factor for this smartphone is the 8 megapixel camera with LED flash while 2 megapixel for front facing. This handset also features sensor like ambient light sensor accelerometer and proximity sensor. Handset connectivity offers 3G, A-GPS, GPRS, Wi-Fi, Micro-USB and Bluetooth the whole device is powered by a 2000mAh battery.